Stone Linings are a brilliant addition to your space! Whether indoor or outdoor, stone lining adds a layer of detail that will noticeably stand out, proving you personally care about every detail in your build. 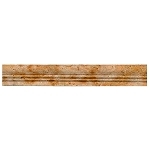 Tile-Stones.com offers a variety of stone lining to match any theme, or ambiance, you are looking to achieve. 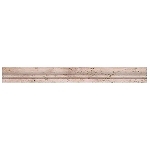 From Onyx Dome Molding to Carrara White Marble Pencil Ledge, we will have exactly what you need.